They say you can&apos;t buy happiness, but you sure can bake it! 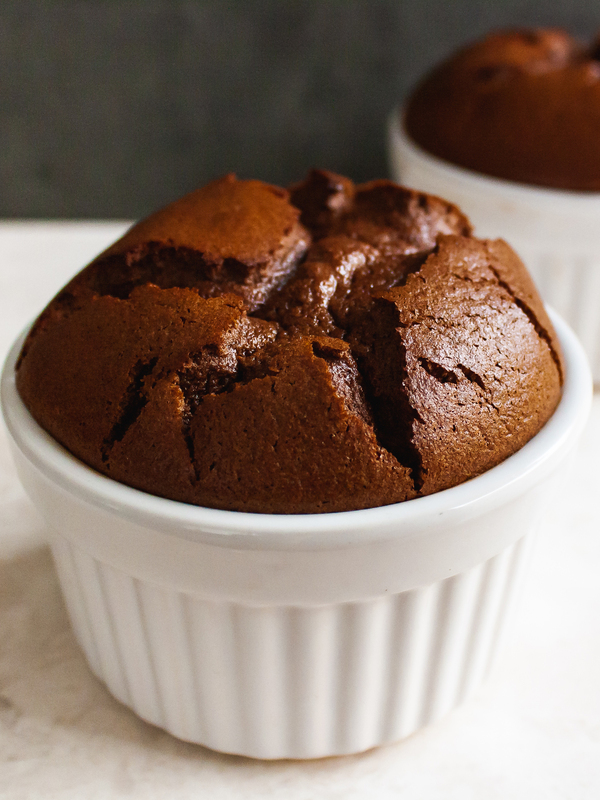 The chocolate soufflé is one the best dessert ideas you can prepare for a romantic dinner to surprise your other half. 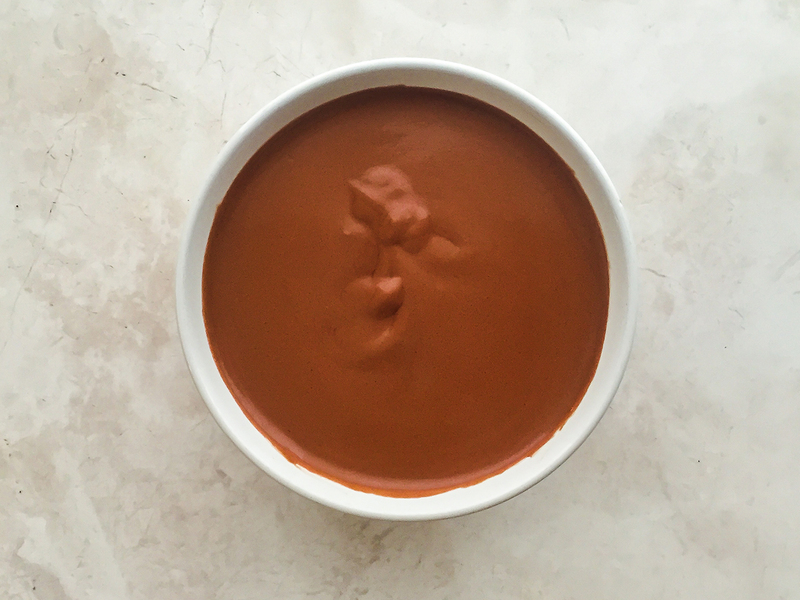 With its heart of warm melted dark chocolate and an incredibly soft and spongy texture, this recipe is a must-have in your repertoire of chocolate desserts. We always try our best to make our recipes accessible to as many people as possible, so we have given a slight twist to the original recipe to ensure this soufflé is both gluten-free and dairy-free. We have used rice milk as an alternative to cow milk as it has a rich and creamy consistency and a milder flavor compared to nut or oat milk. 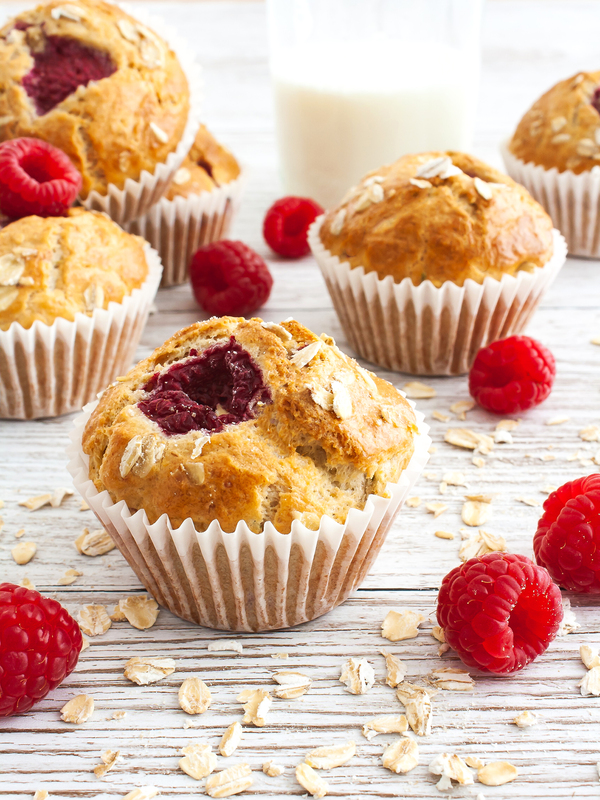 The potato starch acts as both binder and thickener, but you can also use maize starch. The soufflé batter has to be as light, airy, and fluffy as possible to achieve the best results. In fact, the French word ‘soufflé’ means ‘to puff’. The egg whites whipping is one the most crucial steps as they provide the right lift and puffiness to the dish as we will show below. 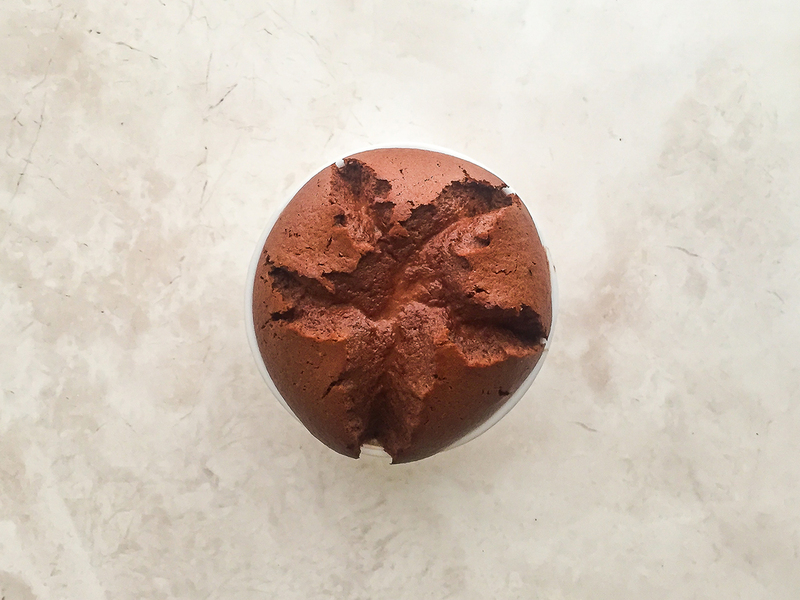 So if you were curious about how to make a dairy-free and gluten-free soufflé, you have come to the right place! Easily follow our steps below and enjoy this warm cup of melted happiness ❤️. Preheat the oven to 200°C (392°F). Make sure all the ingredients are at room temperature before starting. This way they are more &apos;relaxed&apos; and the soufflé will be incredibly soft and spongy. In a small pot, heat the rice milk until you see small bubbles around the edges but don&apos;t let it boil. Then remove from the heat. 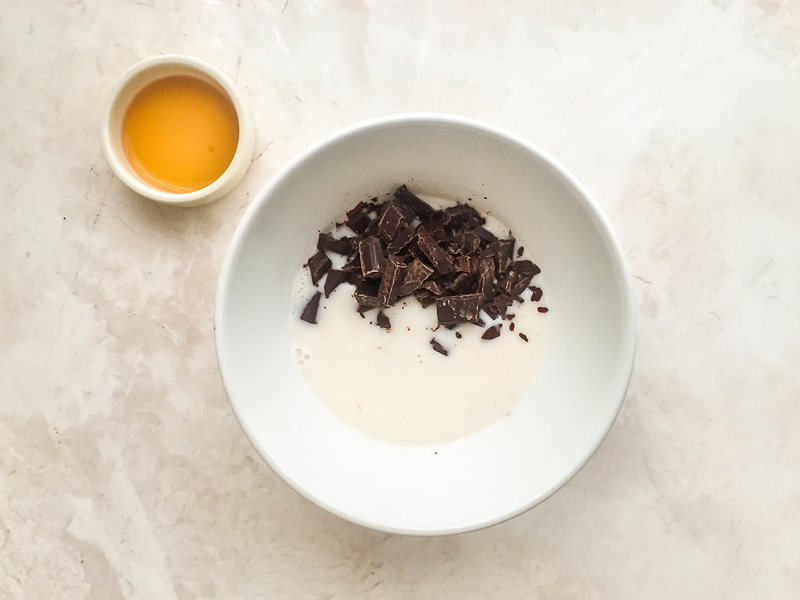 Chop the dark chocolate bar into small chunks and add them to the hot milk along with the vanilla extract (1). 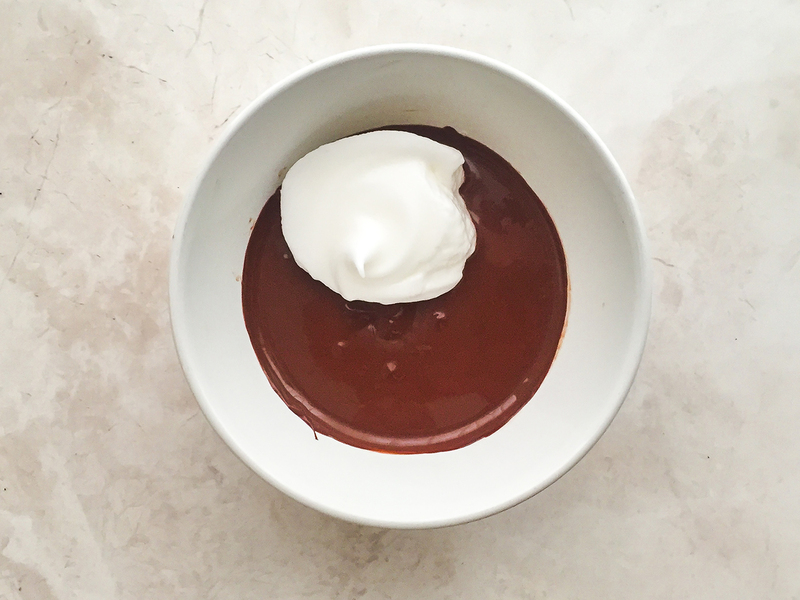 Stir gently with a whisk until the chocolate is melted, smooth, and well incorporated (2). Next, add the egg yolk and stir with the whisk (1). Add the potato starch and mix again with the whisk. Remember to sift the starch before adding it to the chocolate to avoid lumps (2). 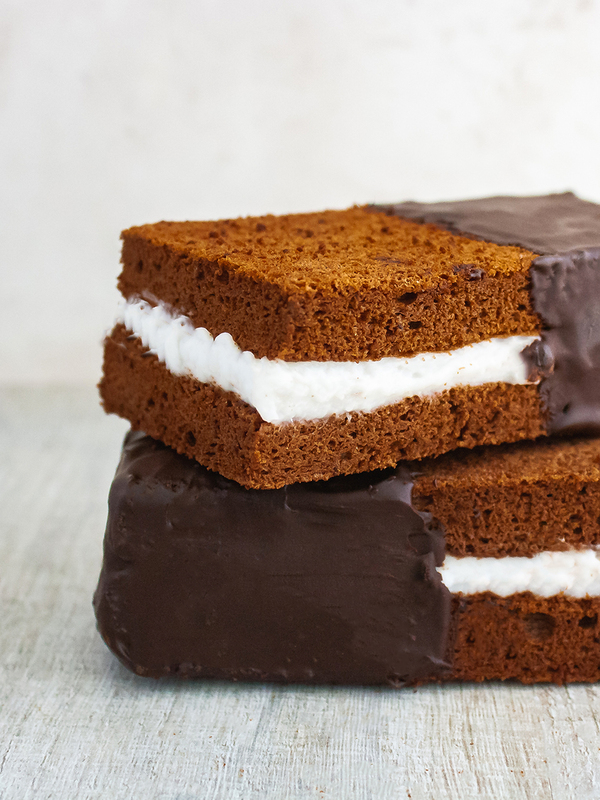 Note that the batter should be smooth and not too dense. If needed, add a splash of milk. 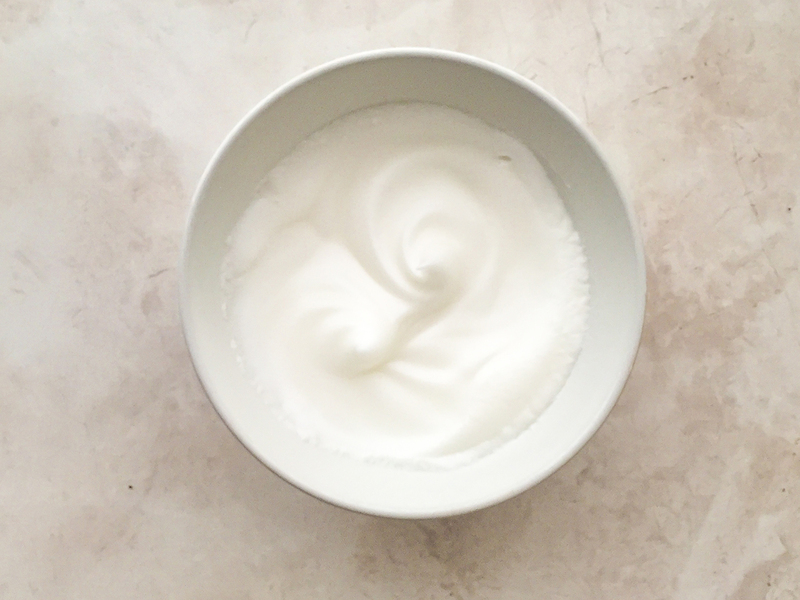 In a separate bowl, whisk the egg whites with a hand mixer until they become foamy and frothy. Add the icing sugar one spoon at a time to prevent the collapsing of the foam and keep whipping (1). Don&apos;t beat the eggs for too long. They have to turn white, hold their shape in the bowl and have soft peaks. It should take no more than 2 minutes to whip the egg whites (2). 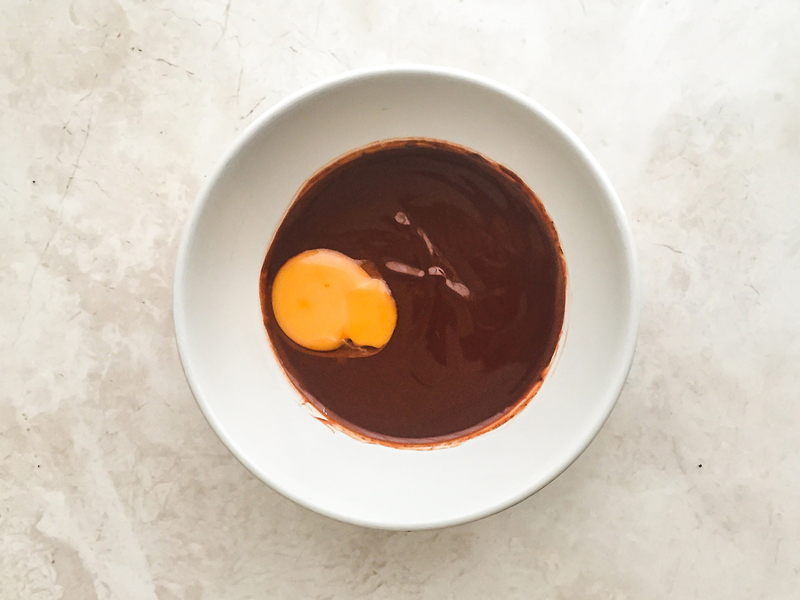 Slowly incorporate the egg whites into the chocolate mixture (1). Add only one spoon at a time and fold in with the whisk with a gentle circular motion to keep the batter airy and fluffy (2). Getting this step right is essential to achieve the perfect sponginess when the soufflé is cooked. Prepare the ramekins by greasing the bottom and the sides with vegetable oil and coating with sugar. Doing so will help the batter climb the dish sides and rise while baking. Moreover it will make it easier to pop the soufflés out of their cups if desired while giving it a sweet finish too. Pour in the chocolate mixture and fill to the very top (1). Level with a knife and clean the edges. 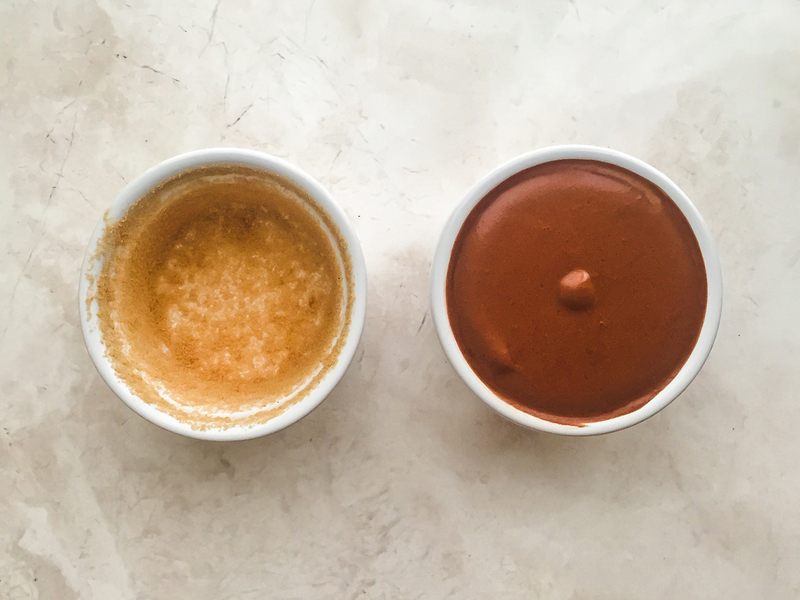 To ensure upward rise and to avoid spilling while in the oven, run your thumb along the inner edge of the ramekin, trying to push the dough inward as much as you can. Don’t worry too much if the dough expands back to the edges. Bake in the middle shelf for 12 minutes. 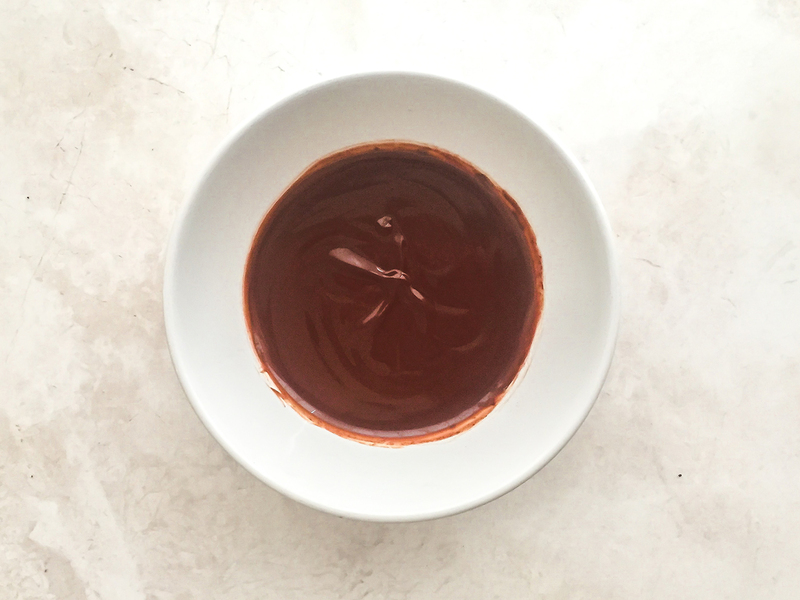 After this time the chocolate soufflé is ready to be served but wait a few minutes, especially if serving it straight from the ramekin, as it will be very hot (2). 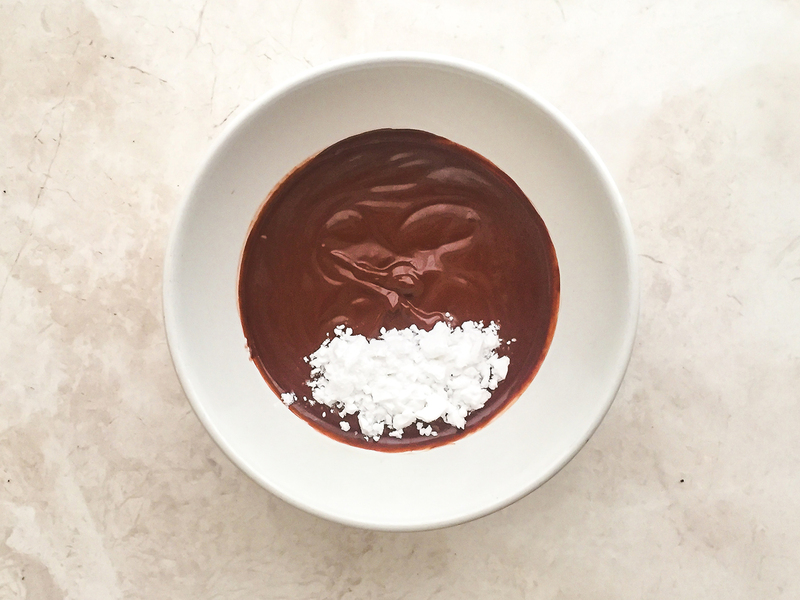 Eat this delicious gluten and dairy free soufflé straight away dipping your teaspoon in this chocolate paradise! 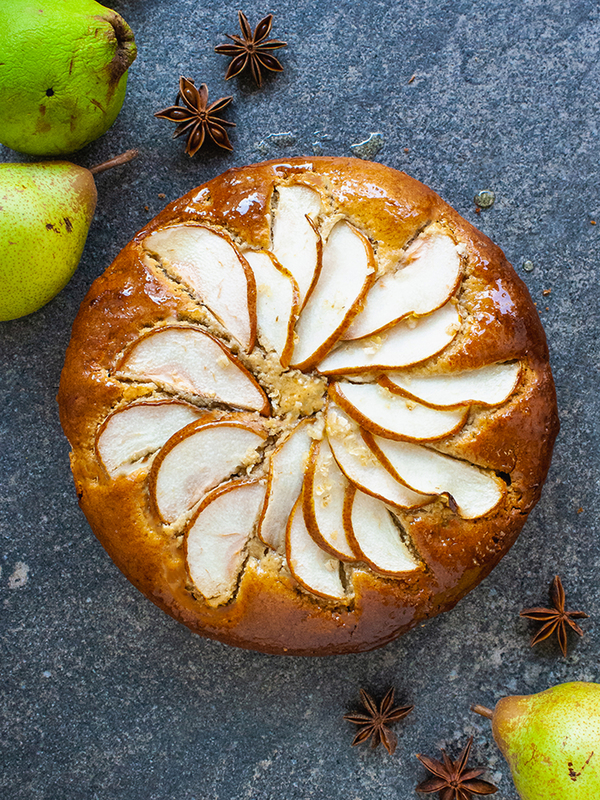 Try adding spices or essences to make this dessert recipe even more interesting. For example you could use chili powder or almond extract. Have fun with different variations! 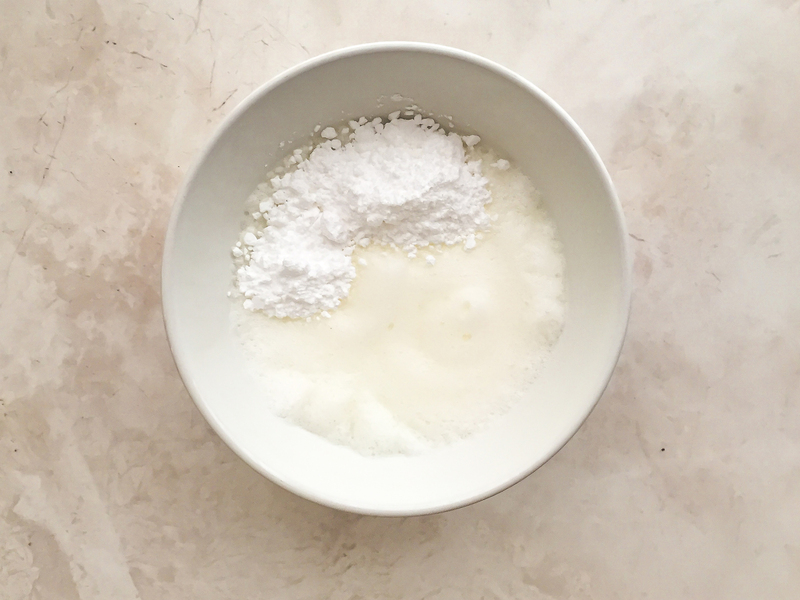 If you want to use a different flour, try to avoid using the normal one as it’s too heavy on the dough and it would affect the fluffiness of the soufflé.